An Icelandair flight made an emergency landing on Friday night after “a crack” was discovered in one of the cockpit windows, according to multiple reports. Icelandair Flight 688 departed from OrlandoInternational Airport at 7:12 p.m. Friday night, October 19, bound for Keflavik International Airport in Reykjavik, Iceland, but made an emergency landing in Bagotville, Canada. 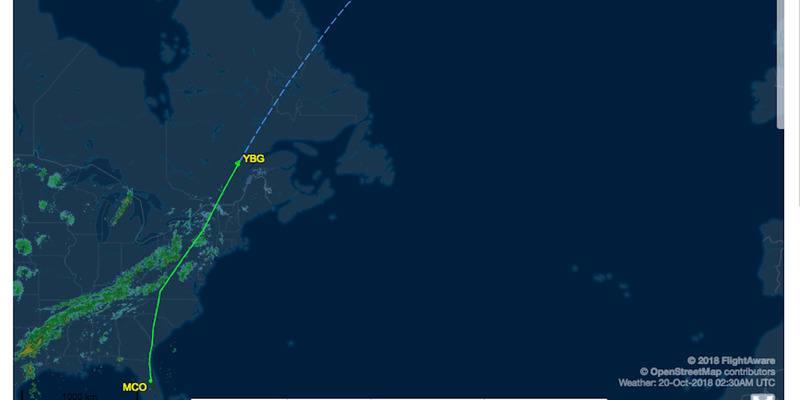 Flight Aware data shows Flight 688 made a rapid descent of some 35,000 feet in 19 minutes as the plane made the emergency landing into Bagotville Airport. 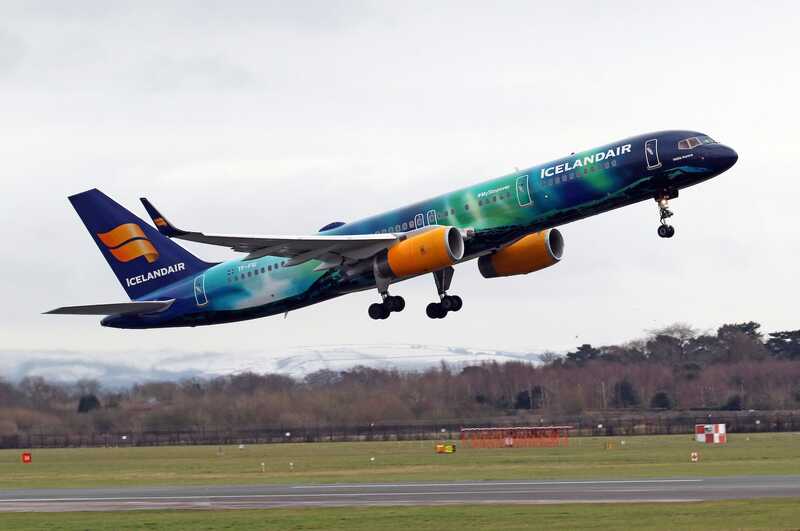 According to Flight Aware, Icelandair Flight 688 departed from Orlando International Airport at 7:12 p.m. Friday night, October 19, bound for Keflavik International Airport in Reykjavik, Iceland. But as multiple outlets have reported, as Flight 688 travelled over Canada en route to the capital of Iceland, pilots noticed one of the cockpit windows had “a crack.” The flight was diverted to a nearby airport in Bagotville, Canada, where the flight completed an emergency landing at 10:20 p.m. The Straits Times reported 155 passengers were on board the flight with seven crew members. Icelandair did not immediately respond to Business Insider’s request for comment. The Straits Times reports that one passenger onboard, Harrison Hove, a manager at WUFT News, tweeted that “Captain says his left window shattered and had to bring us down rapidly. We had to go down immediately,” and that an airline employee estimated the crack to be “at 20 cm” (or 7.8 inches).